Ellis Terry is a boutique Intellectual Property law firm, founded in 2009 by former partners one of New Zealand’s oldest and largest intellectual property firms. Established to serve a local and international client base, but with a strong New Zealand client focus, we provide advice and expertise in all aspects of intellectual property. The firm offers legal and strategic advice to innovative entrepreneurs, corporations, inventors, designers, and artists. Our patent attorneys are experts in mechanical, electrical, computer and software engineering. Our trade marks team works with clients from a variety of industries, including food and beverage, pharmaceuticals, technology, film and entertainment, insurance, farming and agricultural, building, clothing and textiles, automotive and wine. 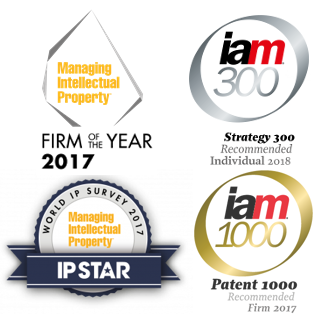 Managing IP’s Firm of the Year (2017) for prosecution work. ELLIS TERRY is the trading name for the firms Terry IP Patent Attorneys Limited, Terry IP Law Limited, Ellis IP Limited and Ellis Terry Limited. Terry IP Patent Attorneys Limited is an incorporated patent attorney firm, and Terry IP Law Limited and Ellis IP Limited are incorporated law firms.